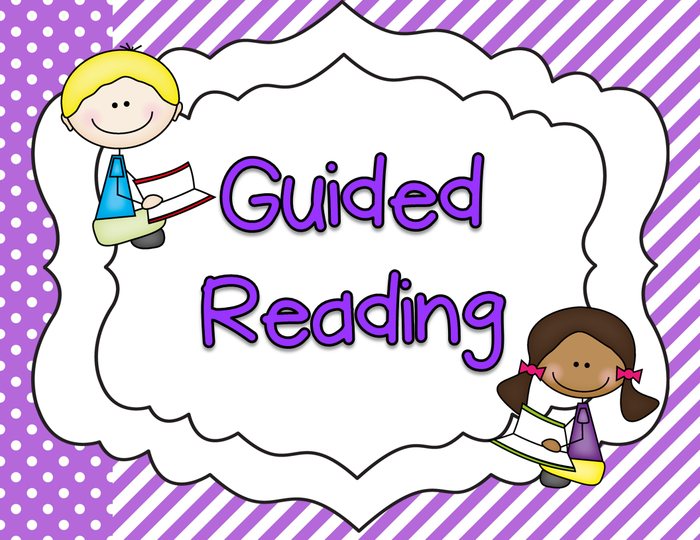 While I have heard of guided reading, and have even been a part of a guided reading circle, I did not realize that there was so much criteria for guided reading. Students need to be at the same level I understand, but it was totally new to me that students must be reading books with 90% accuracy. However, after reading it, I understand. Students won't learn anything surrounding their book if they don't understand what is going on in the book. When I was in 4th grade, I was introduced to a book in my guided reading book that ended up becoming one of my favorite books: Number the Stars by Lois Lowry, one of my favorite authors. I remember it being a book that was easy enough for me to not lose interest in, but hard enough to offer a challenge for me. 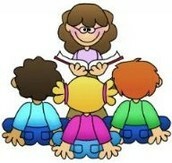 I think this is the balance that guided reading books need to find. Last semester I had to complete an interactive read aloud, and I absolutely hated it. I was confused about how I was supposed to share my thoughts, or what I was supposed to share about. After reading the section about interactive read alouds, I see that they can be very helpful in the classroom and aren't as hard as I originally thought. I really like that the authors broke the read alouds into 3 sections: before, during, and after the read aloud. I like that the text explained that before the read aloud, you "plan the specific objectives of the read aloud and the work you will do within the book as you select the text." After stating the main objective, the book then goes into explanation further, which I really appreciated. 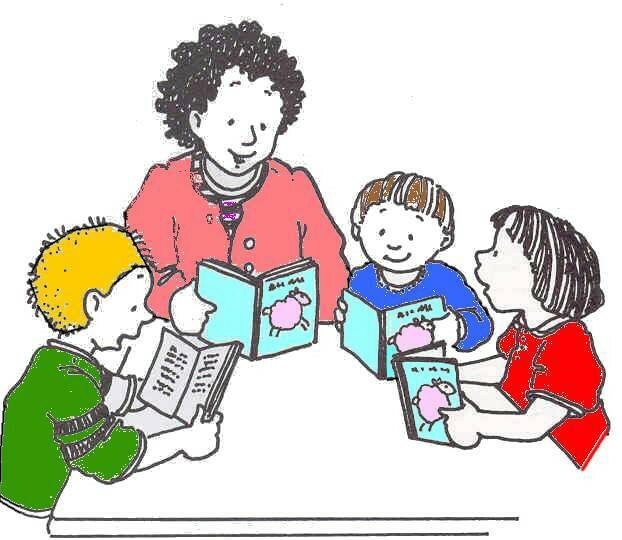 During the read aloud, you "model reading strategies through thinking skills." 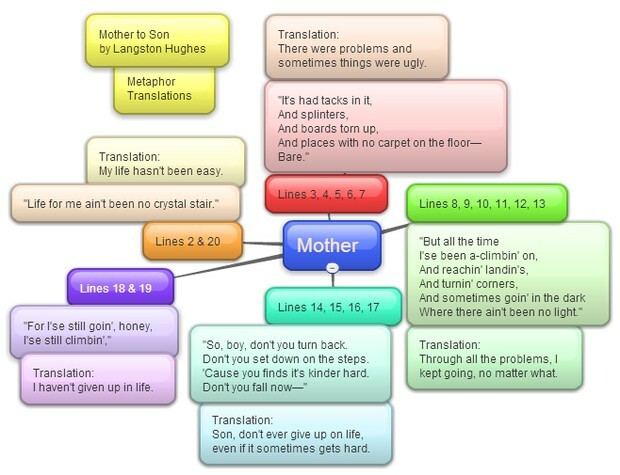 And lastly, after the read aloud, you "facilitate conversation that deepens understanding of the book." I think the what-to-do explanation was what really convinced me to use read alouds in my teaching, because it helped me understand the way to create a strong read aloud. 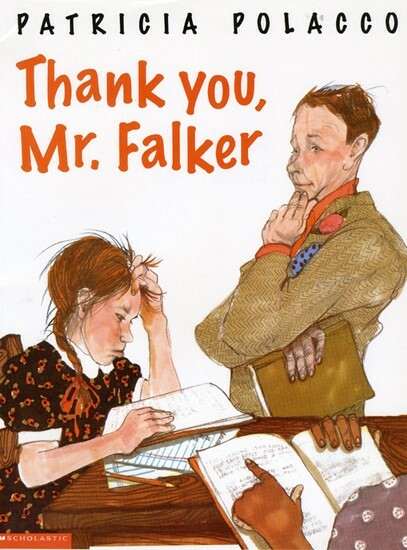 I really enjoyed Thank You, Mr. Falker. I found myself close to tears by the end of the story, especially after finding out that it was really an autobiography. I think it would be a very good book to read to students for many reasons, like helping students understand the result of bullying or helping them to understand that it is okay to be different - it doesn't mean you are dumb. Something that really stood out to me in the story was Mr. Falker's reaction to the class laughing at Trisha. I think him asking the students "Are all of you so perfect that you can look at another person and find fault with her?" was something that the students really needed to hear. Sometimes people need to understand a situation in a different perspective, and Mr. Falker made sure they did. I am excited to read. I wonder how much fun it will be to read. I hear people around me sounding out words. I want to learn how to read. I am confused by the jumbled letters I see when I try to read. I pretend I know how to read when the teacher calls on me. I feel dumb because all my classmates can read now. I touch the pages of the books and wonder why I can't read their words. I worry I will never learn to read. I cry when the other kids make fun of me. I understand that I see words and numbers differently than everyone else. I say the words that I make with the blocks after school. I dream that one day I will be able to read. I try to work hard at sound out letters. I hope soon I will be able to read sentences. I am reading whole paragraphs! 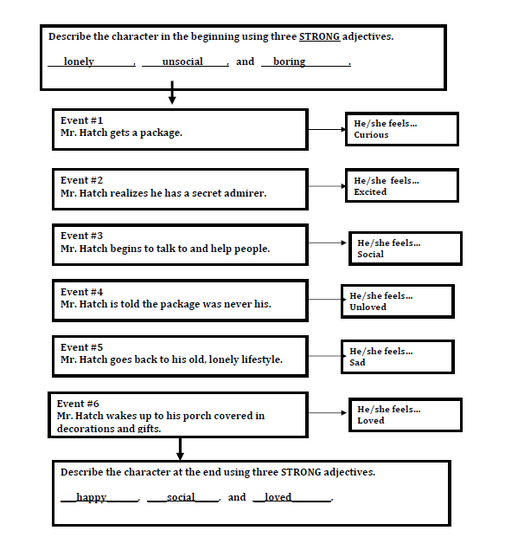 Give students the graphic organizer before reading the story so they can know what to look for. 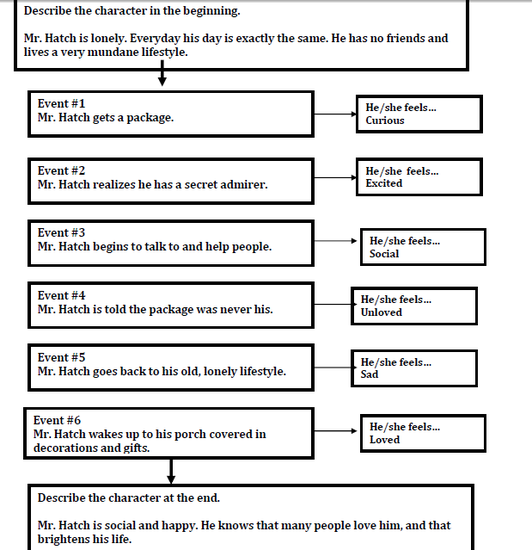 Discuss each event in the story as we read it. Give students time to write a summary of the event during the reading. Discuss strong "feeling" words that can be used. 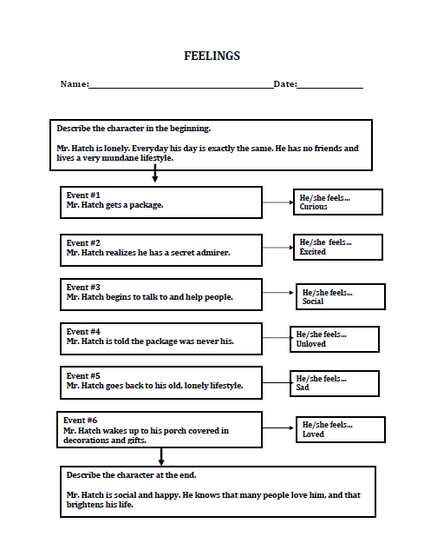 The only thing I would alter for ELLs and struggling students would be the description of the character in the beginning and end of the story. Instead of asking for a complete summary, I would just ask for individual descriptive words.